Waking up has never been easier with the Edifier Tick Tock Dock, a retro-styled alarm clock and music docking station for iPods and iPhones. 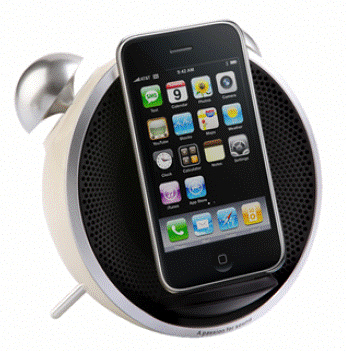 The stylish alarm clock functions as a modern - day alarm, charging dock, iPod or iPhone dock and an FM radio. Ensuring that the Tick Tock Dock always remains sleek and stylish is the unique pivoting dock, which allows the clock and FM radio to be used independently. Easy to navigate, when ready to use the iPod/iPhone, simply pivot the dock to the front. Available in black, white and beige, and featuring five pre - set alarms, time synchronization with your iPhone, and a day selective alarm for your weekend sleep in, the Edifier Tick Tock Dock will ensure that you wake up in style.